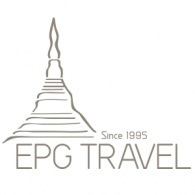 All EPG tours, river cruises, expedition cruises, and adventure trips. Find the best guided trips and expert planned vacation and holiday packages. Average rating of 5.0 for all EPG trips. Travel to Bagan to see the best of Bagan’s distinctive temples including Shwezigon that dazzles in gold, the delicate painted ceilings of Wetkyi-in-Gubyaukgyi and Ananda, the most revered of all, with its four standing Budd. Travel by boat to the island of Kyun Thiri located in the middle of the Irrawaddy River. Fly to Mandalay and the gateway to the ancient capitals of Sagaing, Inwa and Amarapura. Pass by floating gardens and see the fisherman using one leg to row their boats. Visit Indein, to see a small patch of crumbling stupas from the 17th century.